Since his first performances at the Los Angeles Music Center in the early 1970’s, Stephen Piazza has been privileged to share the concert stage with some of the music world’s greatest artists. 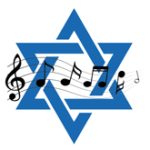 Zubin Mehta, Placido Domingo, Renee Fleming, Leontyne Price, Itzhak Perlman, Carlo Maria Giulini, Leonard Bernstein, Esa-Pekka Salonen, Gustavo Dudamel, James Conlon and members of the Berlin Philharmonic are among the dozens of musical luminaries with whom Piazza has appeared. 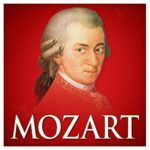 In addition to nearly 1,000 performances with the L.A. Opera Orchestra and the L.A. Philharmonic at the Music Center, Disney Hall and the Hollywood Bowl, he has also performed in such internationally acclaimed venues as Carnegie Hall, Lincoln Center, Kennedy Center, Paris’s Theatre du Chatelet, Mexico City’s Palacio des Belles Artes, Birmingham’s (U.K.) Sir Adrian Boult Hall, Cologne’s Philharmonie, Luxembourg’s Conservatoire de Musique and China’s Hangzhou Theatre. In October 2003 he participated in the nationally televised opening concerts of Frank Gehry’s magnificent Los Angeles landmark, the Walt Disney Concert Hall, and conducted the Idyllwild Festival Wind Ensemble in the first wind band performance in Disney Hall. As a member of the Los Angeles Opera orchestra, he currently performs with the world’s most renowned conductors, singers and soloists. 1978 marked the year Piazza began performing with major motion picture, TV, and recording studio orchestras. His clarinet and bass clarinet are featured in such diverse films as “The Invasion of the Body Snatchers,” “The Flintstones”, “The Soloist”, “The Curious Case of Benjamin Button”, “White Nights” and “Nijinsky”. He also can be heard on the Sony label in performances of film music by Bernard Hermann, and works by Lutoslawski and Prokofiev. He has also performed and recorded with Barry Manilow, Josh Groban, and Barbra Streisand. For over 35 years, Piazza served on the faculty of Los Angeles Pierce College. In 1983, he became chair of the college’s music department, a position he held for over 30 years. 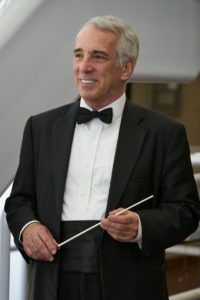 He also established the Pierce Symphonic Band as the college’s premier performing group and began to build a community–based ensemble—the Los Angeles Symphonic Winds– that would eventually perform throughout the United States, Canada, Italy, France, Austria, Hungary, the United Kingdom, Luxembourg and Eastern China. The Winds have been featured at the world-renowned Midwest Band and Orchestra Clinic in Chicago, the College Band Director’s National Conference and the California Band Director’s Conference. They have been invited to perform in Carnegie Hall and to return to the Festival des Anchez in La Croix-Valmer, France. During the summers, Maestro Piazza conducts the prestigious Festival Wind Symphony at the Idyllwild School of Music and the Arts. As director of the festival’s wind program for nearly 25 years, he has helped Idyllwild Arts become one of America’s leading summer music programs and year-round arts academies. Born in New York City in 1950, Piazza moved with his family to Los Angeles in 1957. He remained in California to earn both his bachelors and masters degrees from the University of Southern California. After studies with such legendary artist/educators as Mitchell Lurie, Ingolf Dahl, and Frederic Fennell, he began his own teaching career – first at California Lutheran College and, two years later, at Los Angeles Pierce College where he currently holds the title of Professor Emeritus.